Android is no doubt have edge on it’s biggest rivals (IOS and Windows) when it comes to the flexibility and user customization. Both rivals doesn’t even stand in this race and android is the only competitor and winner of this race. Almost every big android smartphone vendors use their own customized user interfaces in their smartphones which are based on android. 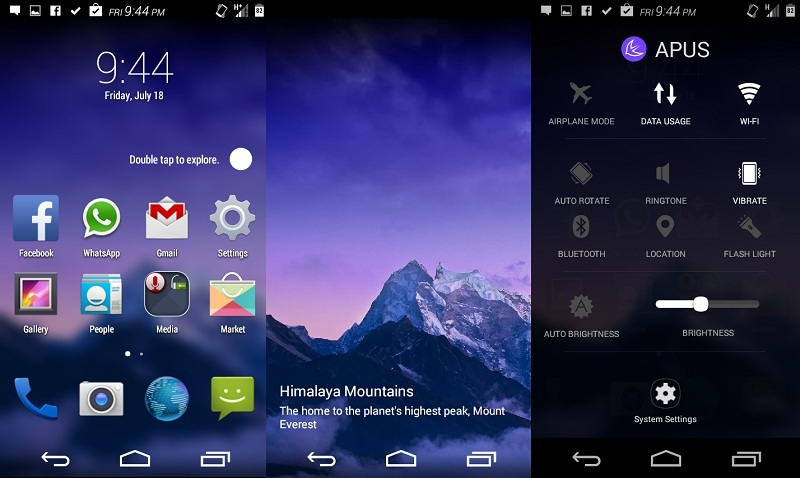 The three famous custom UIs of all the time are Samsung’s-Touchwiz, Htc’s-Sense and Xiaomi’s MIUI. 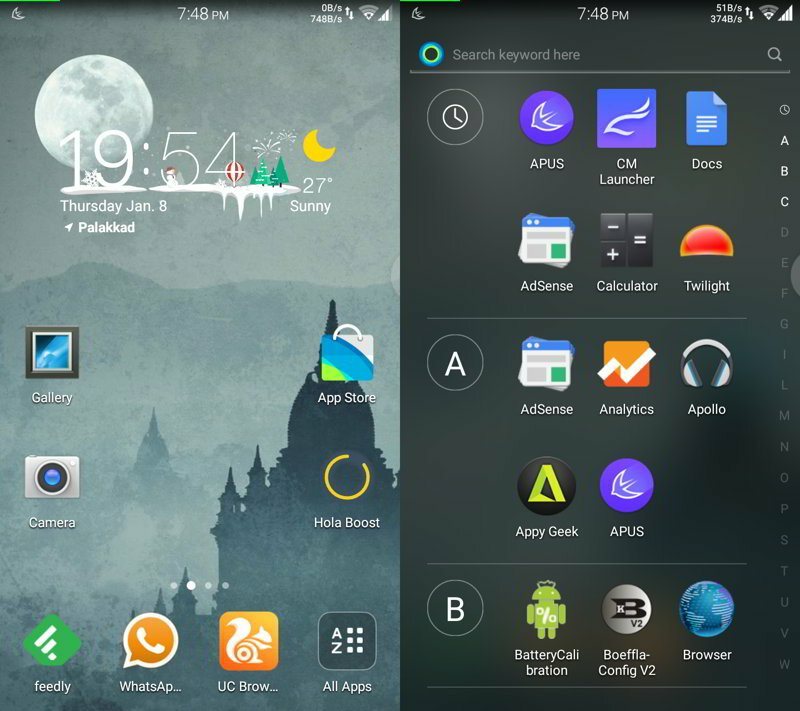 Although user doesn’t like all the custom features of them and then try different launchers and then icon packs, themes and wallpapers for them to customize their android. When users with 1GB Ram smartphones installed third party launchers, themes, icon packs and wallpapers, they find their smartphones glitching or lil bit heavier than normal and if the users with low end smartphones that is with 512MB or less Ram smartphones installed the same above mentioned things, they are about to broke their smartphones because of so much lag. Ever you wonder why this thing happened ? well if you still wondering then come back to reality because the only reason behind this is the heavier sized launcher which not only took a bit more space on memory but also taking the massive MBs of Ram. Now what to do to tackle this thing and enjoy customizability without having glitches and lags. 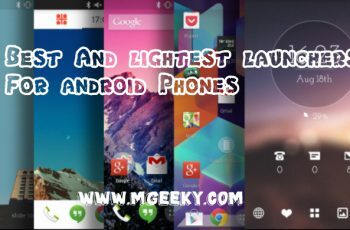 Here we are with a list of some best and lightest launchers available right now in android market. 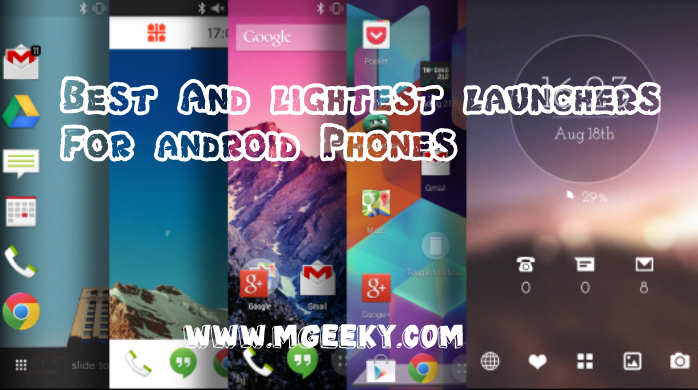 Lollipop launcher is a brilliant launcher by mobint softwares which is amazingly designed like give a look of stock launcher which comes pre-built in android lollipop. It is small in size that is 1MB and took very few amount of Ram. This launcher is available at playstore and can downloaded for free. 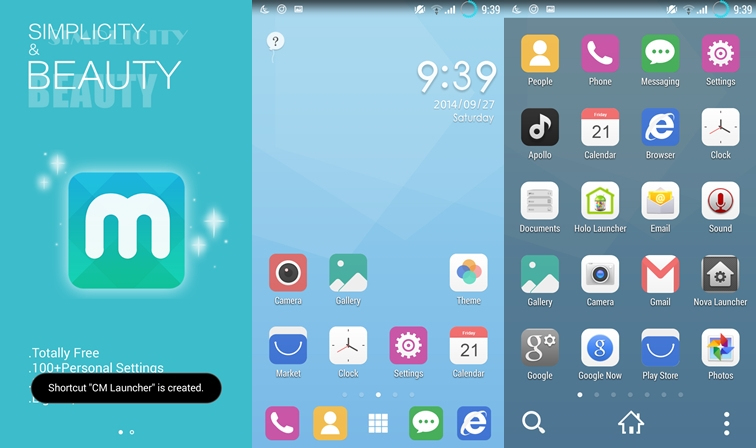 Cheetah launcher is another cool home screen replacement by CC launcher and can be customized to next level. 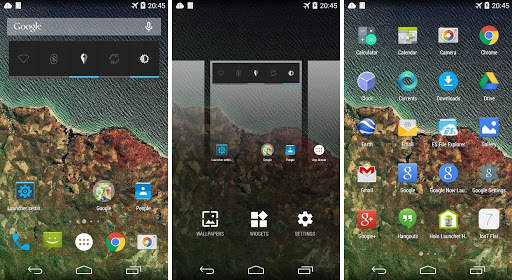 It supports various themes and icon packs. It’s total size is 3.2MB and took less Ram. You can simply head over to playstore to download this launcher for free. 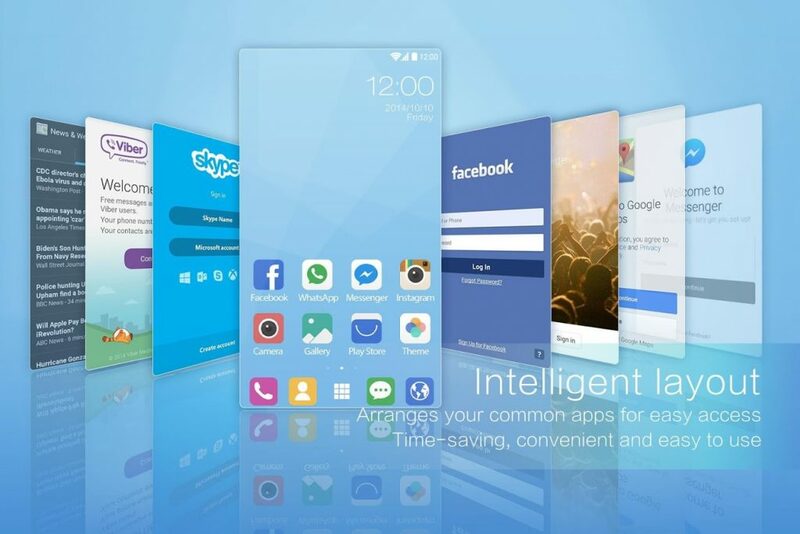 Apus launcher is yet another fastest, lightest and simplest launcher available in android market and offers some great features for users to customize it. It also supports various themes and icons. Get it for free at playstore. Hola launcher is a simple home screen launcher app which offers simple home screen and no app drawer, it resembles Mi launcher but is very smaller in size that is 1.8MB only and doesn’t take too much Ram thus user experience gets smooth and fast. It is a free app and can be downloaded via playstore. 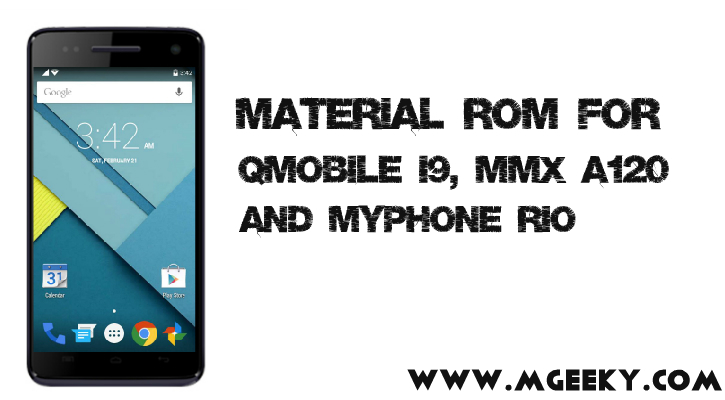 CM launcher is developed by the same developing group of Clean Master app which is mostly famous for cleaning phones app caches and also Ram to boost the android performance. In CM launcher’s description, it’s already mentioned that it will boost 100% startup time and bring smoothness in experience. It have a sleek user interface and supports various themes. It also comes in only 1MB size and took very small amount of Ram. 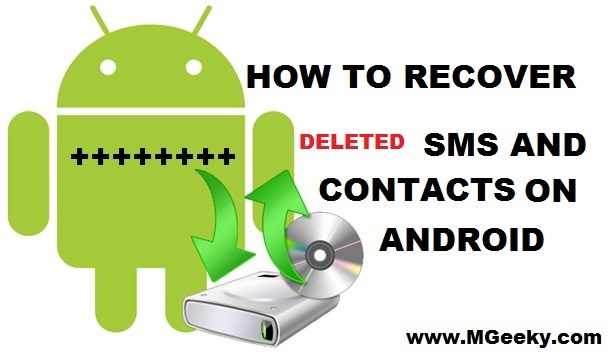 You can install it on your smartphone simply by going to google playstore. So that was our collection of top and best launchers which are lighter in size and don’t take so much Ram and thus results in a glitch-less user experience. If we have missed any other launcher which is lesser in size than these launchers, you can tell us in comments below. Subscribe to our daily newsletter now to get all our latest articles in your inbox.